The following Terms and Conditions govern your use ClipCash card. ClipCash card accounts do not expire. 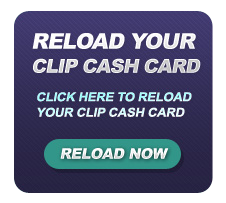 Funds loaded onto the ClipCash card will be available till they are used for purchase. Our company's services are directed to adults who possess validated credit card information, and are not marketed to individuals under the age of Eighteen(18)(21-years old where 18 is not the age of majority). Anyone not meeting this criteria can not load funds onto or use this card. Clipcash has no intention of collecting any personally identifiable information (that is, name, address, telephone number, or email address) from individuals under Eighteen(18) years of age(21-years old where 18 is not the age of majority). PERSONS UNDER THE AGE OF EIGHTEEN (18) & or (21) SHOULD NOT SUBMIT INFORMATION TO THE WEBSITE. If a minor has provided us with personally-identifiable information, a parent or guardian of that minor should contact us immediately. You may use the Site for purposes expressly permitted by the Site. You may not use the Site for any other purpose, including any commercial purpose, without express prior written consent. Without the express prior written authorization, you may not: (a) duplicate a Site or any of the Materials contained therein; (b) create derivative works based on a Site or any of the Materials contained therein; (c) use the Site or any of the Materials contained therein for any commercial purpose, or for any public display, public performance, sale or rental; (d) distribute the Site or any of the Materials contained therein; (e) remove any copyright or other proprietary notices from the Site or any of the Materials contained therein; (f) frame or utilize any framing techniques in connection with the Site or any of the Materials contained therein; (g) use any meta-tags or any other “hidden text” using the site’s marks; (h) “deep-link” to any page of any of the Site (including the homepage); (i) circumvent any encryption or other security tools used anywhere on the Site (including the theft of user names and passwords or using another person’s user name and password in order to gain access to a restricted area of any of the Site; (j) use any data mining, robots or similar data gathering and extraction tools on the Site; (k) decompile, reverse engineer, modify or disassemble any of the software aspect of the Materials except and only to the extent permitted by applicable law; (l) sell, rent, lease, license, sublicense, transfer, distribute, re-transmit, time-share, use as a service bureau or otherwise assign to any third party the Materials or any of your rights to access and use the Materials. You agree to cooperate with us in causing any unauthorized use to cease immediately. At any time, if the Site provides a service enabling users to share information or communicate with other users, you hereby agree not to publish, disseminate or submit any defamatory, offensive or illegal material while using the Site or other services included on the Site. You are solely responsible for submitting any material that violates any United States or International laws even if a claim arises after your service is terminated, and, by doing so, your actions shall constitute a material breach of this Agreement and the Site shall terminate all your rights under this Agreement. If users are allowed to share information and communicate with other users, you agree that all materials you submit will be accessible to other users and will not be secure or private. You hereby agree that you have been noticed that all communications submitted to the Site can be accessed by agents, operators, and other users, regardless if they are the intended recipients of the messages. Your card issuer agreement may contain additional terms with respect to your rights and liabilities as a card holder. You are responsible for reimbursing us for all credit card charge backs, dishonored checks and any related charges. You hereby agree not to falsely report the credit card or check card lost or stolen, without good reason that it is lost or stolen, that you have used for payment of goods or services, including subscriptions. Such fraudulent reporting to avoid payment for goods or services that you or anyone under your authority has made to the Site when you have an outstanding charge to the Site shall make you liable for $50,000 in liquidated damages. This liability for liquidated damages is in addition to any other liability you may incur for breaches of any other Terms and Conditions in this Agreement. Friendly fraud and abuse by disputing the transaction with the issuing bank will result in immediate disqualification from future sales and you will be banned from ordering from our sites. We take fraud very seriously and will actively report cases of fraud to the local authorities for further prosecution. You expressly agree that use of the ClipCash card on any of the sites or any of the materials contained therein at your own and sole risk. ClipCash sites and all materials contained therein are provided “AS IS” without warranty of any kind, either express or implied, including but not limited to, any implied warranties of merchantability, fitness for a particular purpose, title, or non-infringement. ClipCash makes no representations or warranties that the Sites or any materials contained therein will be uninterrupted, timely, secure, or error free; nor does the Site make any representations or warranties as to the quality, suitability, truth, accuracy or completeness of the Site or any of the materials contained therein. You also understand and agree that any material and/or data downloaded or otherwise obtained through the use of the Site or any of the materials contained therein is done at your own discretion and risk and that you will be solely responsible for any damage to your computer system or loss of data that results from the download of such material and/or data. You understand that the site cannot and does not guarantee or warrant that files available for downloading from the internet will be free of viruses, worms, trojan horses or other code that may manifest contaminating or destructive properties. The site does not assume any responsibility or risk for your use of the internet. 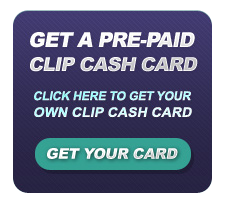 ClipCash makes no warranty regarding any goods or services purchased or obtained through the Site or any transaction entered into through the Site and is not responsible for any use of confidential or private information by sellers or third parties. Some jurisdictions do not allow the exclusion of certain warranties, so some of the above exclusions may not apply to you. In no event shall ClipCash (or its licensors, agents, suppliers, resellers, service providers, or any other subscribers or suppliers) be liable to you, or any other third party for any direct, special, indirect, incidental, consequential, exemplary, or punitive damages, including without limitation, damages for loss of profits, revenue, or goodwill, which may arise from any person’s use, misuse, or inability to use the Site or any of the materials contained therein, even if the Site has been advised of the probability of such damages. This is for any matter arising out of or relating to this agreement, whether such liability is asserted on the basis of contract, tort or otherwise, even if the Site has been advised of the possibility of such damages. In no event shall the Site’s maximum total aggregate liability hereunder for direct damages exceed the total fees actually paid by you for use of the Site for a period of no more than (1) month from the accrual of the applicable cause or causes of action. Because some jurisdictions prohibit the exclusion or limitation of Liability for consequential or incidental damages, the above limitation may not apply to you. You agree to defend, indemnify, and hold harmless the Site, its officers, directors, shareholders, employees, independent contractors and agents, from and against any and all claims, actions, liabilities, costs, or demands, including without limitation legal and accounting fees, for all damages directly, indirectly, and/or consequentially resulting or allegedly resulting from your, or you under another person’s authority including without limitation to use, misuse, or inability to use the Site or any of the Materials contained therein, or your breach of any of these Terms and Conditions. ClipCash shall promptly notify you by electronic mail of any such claim or suit, and cooperate fully (at your expense) in the defense of such claim or suit. The site may participate in the defense of such claim or defense at its own expense, and choose its own legal counsel, but is not obligated to do so. Some web sites which are linked to the Site are owned and operated by third parties. Because the Site has no control over such sites and resources, you acknowledge and agree that the Site is not responsible for the availability of such external sites or resources, and does not screen or endorse them, and is not responsible or liable for any content, advertising, services, products, or other materials on or available from such sites or resources. You further acknowledge and agree that the Site shall not be responsible or liable, directly or indirectly, for any damage or loss caused or alleged to be caused by or in connection with use of or reliance on any such third-party content, goods or services available on or through any such site or resource. If you decide to access any such third party sites, you do so entirely at your own risk and subject to any terms and conditions and privacy policies posted therein. ClipCash shall not be responsible for any failure to perform due to unforeseen circumstances or to causes beyond our reasonable control, including but not limited to: acts of God, such as fire, flood, earthquakes, hurricanes, tropical storms or other natural disasters; war, riot, arson, embargoes, acts of civil or military authority, or terrorism; fiber cuts; strikes, or shortages in transportation, facilities, fuel, energy, labor or materials; failure of the telecommunications or information services infrastructure; hacking, SPAM, or any failure of a computer, server or software, including Y2K errors or omissions, for so long as such event continues to delay the Site’s performance. These Terms and Conditions and all matters arising out of or otherwise relating to these Terms and Conditions shall be governed by the laws of the United States, excluding its conflict of law provisions. The parties agree that the United Nations Convention on Contracts for the International Sale of Goods is specifically excluded from application to these Terms and Conditions. The parties hereby submit to the personal jurisdiction of the state and federal courts of the United States. Exclusive venue for any litigation or arbitration permitted under this Agreement shall be with the state and federal courts located in Seminole County, Florida and Philadelphia, Pennsylvania. If there is a dispute between the parties arising out of or otherwise relating to these Terms and Conditions, the parties shall meet and negotiate in good faith to attempt to resolve the dispute. Arbitral Claims shall include, but are not limited to, contract and tort claims of all kinds, and all claims based on any federal, state or local law, statute, or regulation, excepting only claims under applicable worker’s compensation law and unemployment insurance claims. If the parties are unable to resolve the dispute through direct negotiations, then, except as otherwise provided herein, either party may submit the issue to binding arbitration in accordance with the then-existing Commercial Arbitration Rules of the American Arbitration Association. The arbitration shall be conducted in Seminole County, Florida and Philadelphia, Pennsylvania, and conducted by a single arbitrator, knowledgeable in Internet and e-Commerce. The party bringing the action shall be responsible for paying all costs for arbitration, including the arbitrator’s fees. Each party shall bear its own attorneys’ fees (except if the matter is for the collection of a debt owed in which case the prevailing party shall be awarded its attorneys fees, all arbitration costs and the arbitrator fees (if applicable), in addition to all other applicable remedies). The arbitrator shall have no authority to award any punitive or exemplary damages; certify a class action; add any parties; vary or ignore the provisions of these Terms and Conditions; and shall be bound by governing and applicable law. The arbitrator shall render a written opinion setting forth all material facts and the basis of his or her decision within thirty (30) days of the conclusion of the arbitration proceeding. This Section shall not apply to any breach (or any allegation which if true would constitute a breach) of any matter relating to intellectual property. THE PARTIES HEREBY WAIVE ANY RIGHTS THEY MAY HAVE TO TRIAL BY JURY IN REGARD TO ARBITRAL CLAIMS. No waiver shall be deemed a waiver of any subsequent default of the same provision of these Terms and Conditions. If any term, clause or provision hereof is held invalid or unenforceable by a court of competent jurisdiction, such invalidity shall not affect the validity or operation of any other term, clause or provision and such invalid term, clause or provision shall be deemed to be severed from these Terms and Conditions. These Terms and Conditions constitute the entire agreement between the parties with respect to your access and use of the ClipCash card on any sites and the Materials contained therein, and your membership with the Site, and supersedes and replaces all prior or contemporaneous understandings or agreements, written or oral, regarding such subject matter (except, to the extent applicable, any Download Agreement or similar contract governing the parties’ rights and responsibilities in connection with any specific Materials downloadable from a Site). No amendment to or modification of these Terms and Conditions will be binding unless in writing and signed by a duly authorized representative of both parties. ClipCash the right to change any of the provisions posted herein and you agree to review these Terms and Conditions each time you visit a Site. Your continued use of a Site following posting of any changes to these Terms and Conditions constitutes your acceptance to such changes. ClipCash does not and will not assume any obligation to provide you with notice of any change to these Terms and Conditions. Unless accepted in writing, these Terms and Conditions may not be amended by you. ClipCash makes no representation that the Site or any of the Materials contained therein are appropriate or available for use in other locations, and access to them from territories where their content may be illegal or is otherwise prohibited. Those who choose to access the Site from such locations do so on their own initiative and are solely responsible for compliance with all applicable local laws. We use your IP address to help diagnose problems with our servers, and to administer the Website. Your IP address is used to help identify you and to gather broad demographic information. Our site may require Members & Studios to give us contact information (such as email addresses and phone numbers), financial information (this includes account or credit card numbers), and demographic information (this includes zip code, age and income level). We use contact information to send the user information needed to maintain their studio & or membership account, to contact them when necessary, and to notify them of news about our company. We also use customer contact information to send the user promotional material from some of our partners. Users may opt-out of receiving future mailings (other than those required for account administration); see the opt-out section below. The financial information collected is used to check the users' qualifications and to bill the user for services ordered. Demographic and profile data is also collected at our site. We may use this data to tailor our visitor's experience at our site, showing them content that we think they might be interested in, and displaying the content according to their preferences. This information is shared with advertisers on an aggregate basis only. From time to time, our site may request additional information from users via promotional programs or special offers. Participation in these offers is completely voluntary and the user therefore has a choice whether or not to disclose this information. Information requested may include contact information such as phone numbers and address. This information may be used to award gifts and promotional products. By useing the preloaded ClipCash card, some sites may link to other sites. 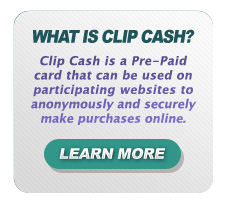 Please note that the ClipCash is not responsible for the privacy practices or the content of other sites. In some cases, information may be collected about you that is not personally identifiable by third-party advertising companies and service providers ("third parties"). Examples of this type of information include the type of Internet browser you are using, the type of computer operating system you are using, and the domain name of the site from which you linked to our site. Internet advertising networks such as some of the third parties used on this site are currently the focus of regulatory and legislative scrutiny concerning the breadth and ultimate use of information collected from sites like the Website. When you navigate through the Website, these third parties may set cookies during your viewing of certain pages. The Website utilizes the data that third parties have collected in this fashion to determine how far you have progressed into the Website. Third parties are not entitled to use collected data other than for general reporting of aggregate information. Should regulations and laws evolve which impose limitations and restrictions on the Website's collection and use of such data (beyond the limitations Website already imposes upon itself, as these are set forth in this Policy), of course the Website will abide by such laws and/or regulations. The Website reserves the right, but has no obligation, to monitor all services offered. This includes but is not limited to the materials posted in the public areas of the Website as well as the contents of communications transmitted while engaging in voice and text chat, email, or voicemail. The Website shall have the right to remove any material that violates, or is alleged to violate, any law or regulation, the User Agreement, or this Policy. The Website shall have the right to disclose information transmitted while using its services for any reason if the Website believes that it is reasonable to do so, including to: satisfy laws, regulations, or governmental or legal requests; operate the service properly; or protect itself and/or users. 1 (877) 312-8559 or outside the U.S. at 1 (727) 498-8515 anytime from 8am - 11pm est. Please contact us at info@clipcash.comfor any questions or problems.